The Police, with the help of youths of Angalabiri community, arrest two persons involved in the attack and robbery of some persons at the Corpers’ lodge. The Police Command in Bayelsa has arrested three suspected cult members who robbed and cut off the hand of a serving youths corps member in the state. The Spokesman of the command, DSP Astimin Butswat, said on Tuesday in Yenagoa that the arrest was made possible through a tip-off by some indigenes of the community. The incident occurred in a “Corpers’ Lodge” at Angalabiri Community, Sagbama Local Government Area of the state, and the victim’s name is Luntis Julius. Butswat gave the names of the suspects as Mosan Youdougha (22), Godswill Vincent (21) and Prince Ikerewu (19) from Ofoni community of the state. They were arrested through the assistance of some youths from the village. 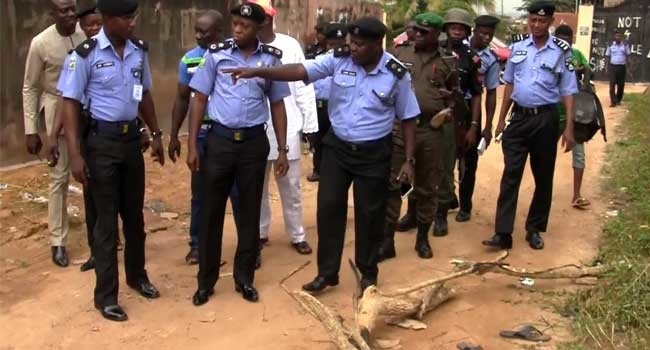 He noted that the police had commenced further investigations to arrest the fourth suspect.